Spam filters score your emails based on content, spam keys, images and other criteria to determine if your email is spam. SpamAssassin is an open-source spam filter most ISP’s use. Each individual ISP that used SpamAssassin has its own score threshold. Once you exceed that threshold with your email, it will not go through to the recipient or end up in their junk box. Ever wonder what the criteria are? To help you receive the best possible score, here is a link to the criteria and corresponding scores. 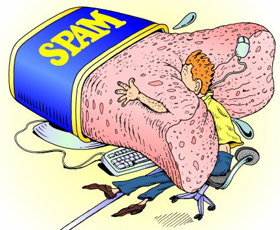 Also, here are some of our favorite funny spam filter criteria. -Dear Friend? That's not very dear! -Talks about Oprah with an exclamation! -Subject starts with Do you dream, have, want, love, etc. We have seen some very good legitimate emails go out and have very high scores. It is important to run your email through a spam score checker to make sure you do not have content in your email that will trigger you as spam.